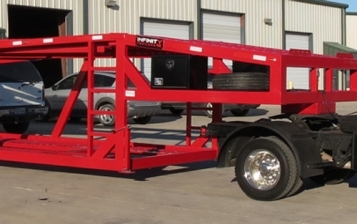 What’s An Ideal Car Hauling Trailer Blessed With? 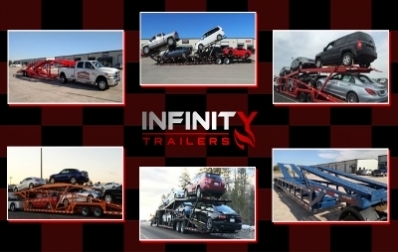 A car hauling trailer is a vital equipment that’s utilized for a wide range of tasks such as towing damaged automobiles, transporting brand new cars, moving serviced vehicles, and so on. Using one involves various risks that include property damage, accidents, injuries and even casualties. Fortunately, one of the best ways to steer clear of such risks is to purchase a good car hauling trailer in the first place. This is among the most important components to be taken into account carefully. The longer is the tongue length of a particular trailer, the easier it would be to maneuver the whole equipment when towing vehicles. Even if a tongue is small, it has to be 15% of the gross weight, at the least. The wires for the tail lights of a trailer must pass through its frame at a particular point. They should have adequate protection as well, in the form of grommets. Otherwise the wires can chafe against metal and thereby result in a short circuit. The coupler of a decent car hauling trailer should be such that it can be easily attached to the towing vehicle without any sloppiness. The component should also not be in a twisted or bent position after it has been connected. 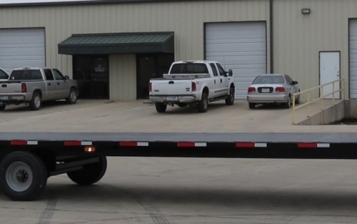 The frame of a car hauling trailer as well as its constituent material have a significant role to play. It is either a channel iron, angle iron or box tubing. The best option to go for is box tubing, but it is usually quite expensive. The most cost-effective and reliable option is a combination of channel iron & box tube. A good trailer tail light is normally power efficient, low maintenance, bright and durable. Tail lights must have sufficient protection too, just like their wiring. A trailer’s wheels and tires must be rated properly in order to ensure that the combined capacity of these components is more than or equal to the GVWR of the whole equipment. It is better to steer clear of 14.5-inch wheels. On the other hand, tires with 6 ply rating are of better capacity owing to their dense sidewalls. Was this post useful to you? Leave your feedback in the comment section below and stay connected to our blog space for more.